This beautiful custom wall mounted bottle open is perfect for any bar and house! 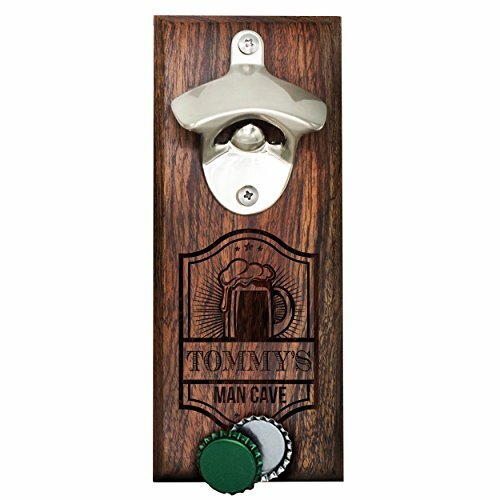 The bottle opener comes in premium light or dark wood with powerful magnets to hold and catch the bottle caps. The bottle opener measures 8" x 3.25" x .5" making it great in any space! Comes with all the mounting screws or just put it on the fridge!! GREAT GIFT - Perfect gift for any bar or any party!